October 13, 2016 By Tina M Leave a Comment This post may contain affiliate links. Read my disclosure policy here. I have a 2 year old and 1 year old and they love getting crafty with paints or coloring. I have really wanted to do something with them for Halloween. The 2 year old, has been especially interested in pumpkins this year. With them being too young to carve, which is what most of us default to, I was considering painting them. 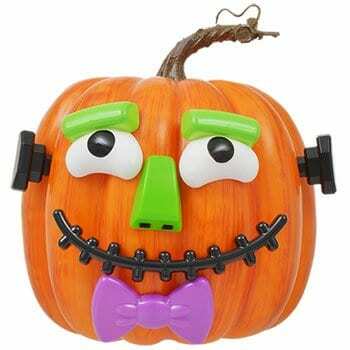 Here are some fantastic and adorable ideas that kids can get involved with if you’re looking for some alternatives like I was, or just those of us (like myself), who are far from gifted when it comes to pumpkin carving and slightly embarrassed to display them every Halloween! 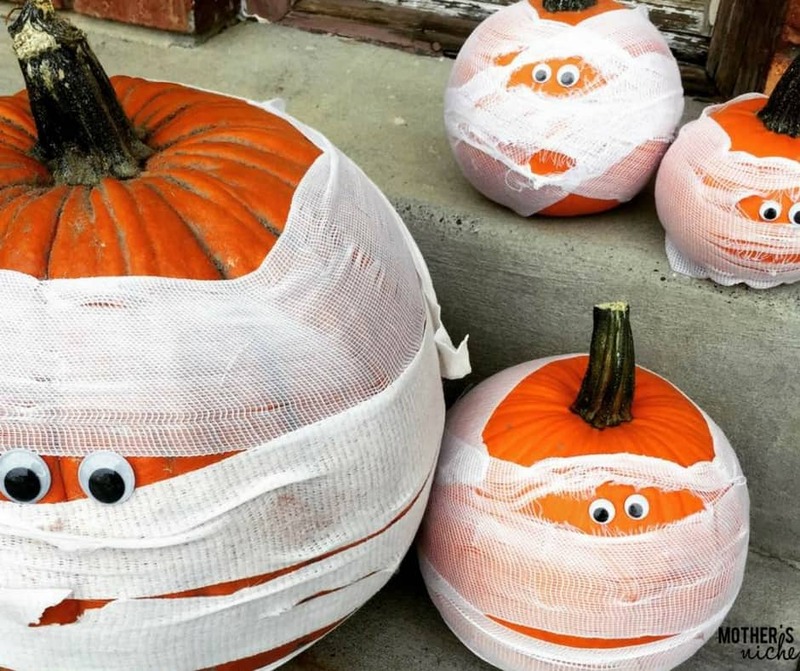 These adorable mummy pumpkins are easy to make and your little ones will love helping wrap them; plus 2 birds with one stone, mummy and pumpkin! The drill bill pumpkin looks so nice on the porch at night time to light up your other decorations, plus you can’t really mess this one up! Drill holes, we can all handle that! 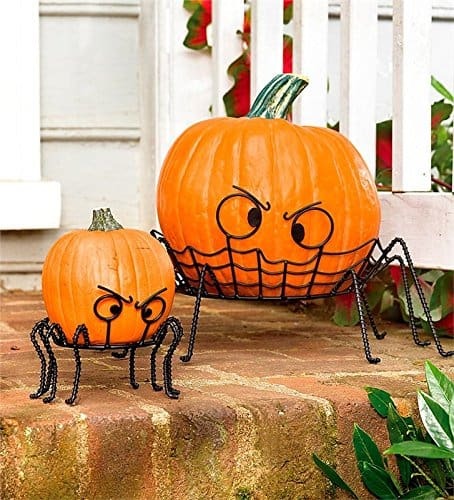 Creepy, crawly critters are a must on Halloween. Here’s a nice way to display them. My kiddo goes crazy for stickers… he would love these! 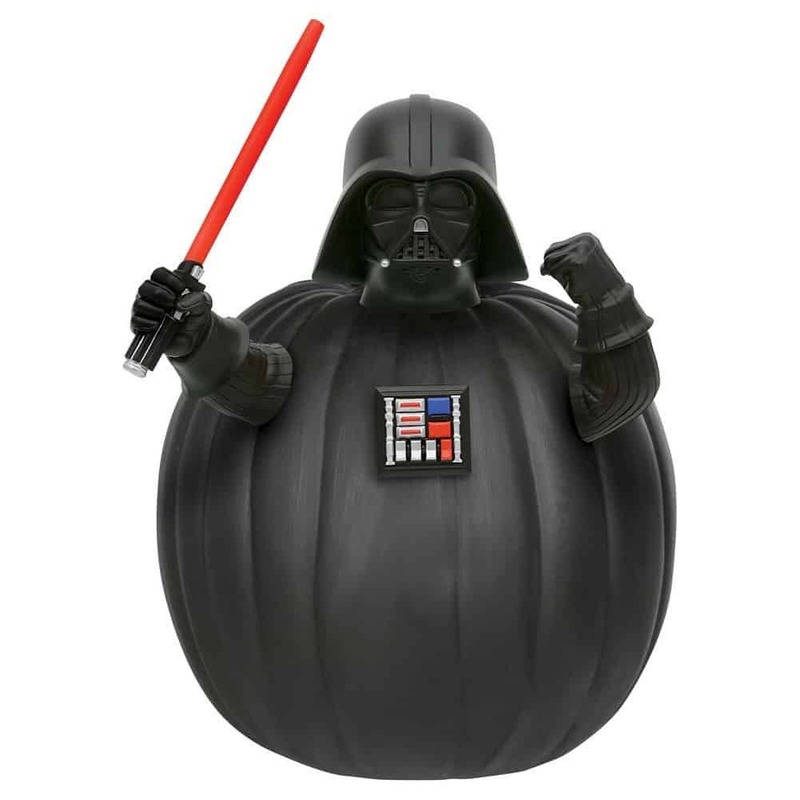 The only problem might be not having enough pumpkins for the stickers! 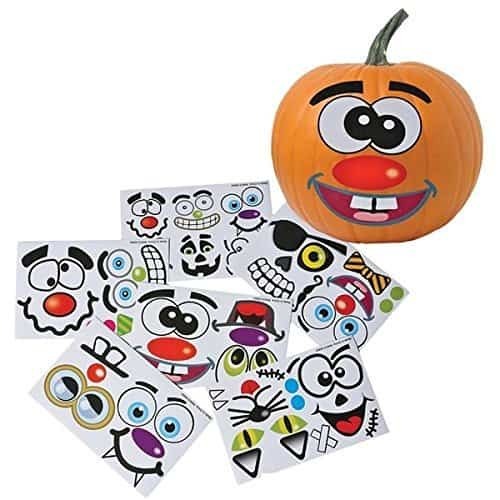 The stickers, or push-in decorating kits are great alternative for those with little ones that can’t do carving, but will allow them to decorate and have fun with them for Halloween! They feel so proud when they are all done and can see their finished products! Plus, what kid doesn’t love stickers?! This one has me written all over it; they are cute but require no crafty abilities whatsoever! 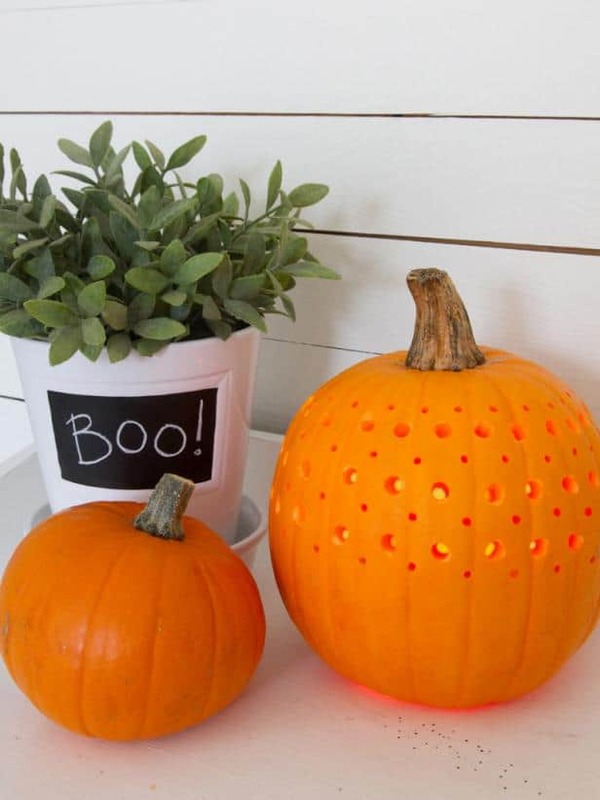 What are YOUR favorite ideas for alternatives to pumpkin carving? !